Our Cold Weather Field Coat is made with two layers of fabric. The top layer is a 1000 denier nylon fabric/urethane coated. 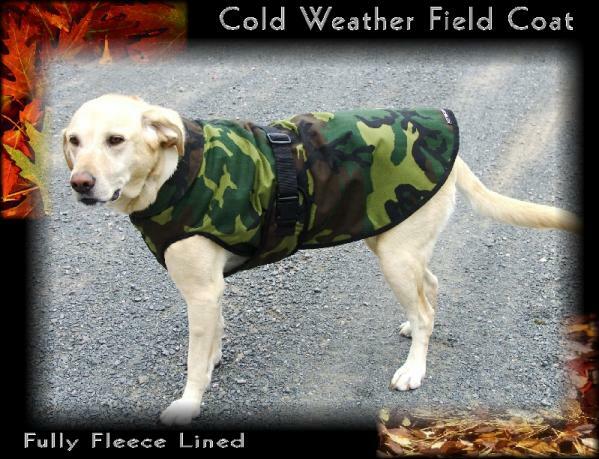 The lining is a soft fleece material. All seams are bound and reinforced. It has an adjustable girth strap. 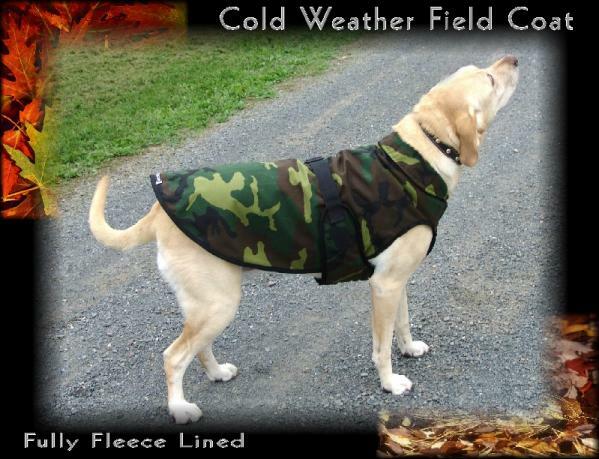 This coat provides comfort to those dogs that work outdoors in cold weather. 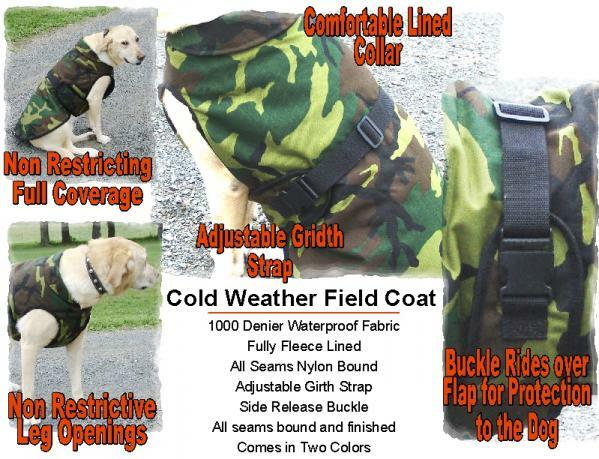 The coat slips over the dog's head, under its chest and buckles around the girth. 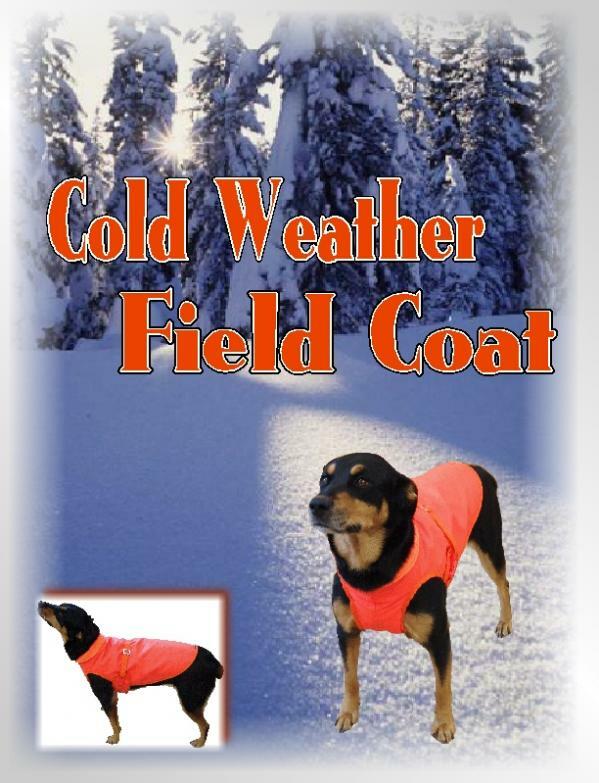 The coat covers much of the dog's back. The leg openings are cut high enough to allow good movement while providing coverage and protection for the chest. Small: Girth size 22-26", 14"
Medium: Girth size 26-32", 19"
Large: Girth size 29-37", 22"
X-Large: Girth size 33-41", 26"
about us | contact us | newsletter | sales flyer | shipping and Return policy | tell a friend | order status | Site Map ActiveDogs.com © 2003-2008, All Rights Reserved.